I was unsure about this one when I first saw pictures of it. Tie-dye and Star Wars don’t immediately go together in my mind, but in person it’s pretty impressive looking. I don’t think I’d actually wear it, but it’s kind of cool. 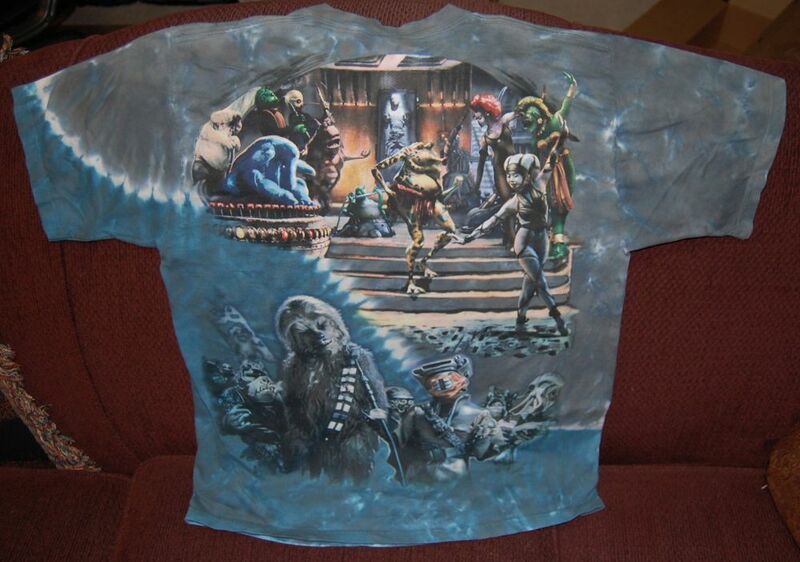 I like how almost the entire front is covered with art (including Jabba, Leia, Bib Fortuna, Boba Fett and C-3PO on the top and the rancor on the bottom). The images are clearly based on stock photos, but it looks like they’ve had a filter applied to them, or maybe they’ve been drawn over. The effect is a nice one — almost like a painting. I was surprised that there’s also a complete design on the back, featuring the Max Rebo Band, Han Solo in Carbonite and Jabba’s new dancers from the special edition of Return of the Jedi, plus Leia as Boushh with Chewbacca and some other palace aliens. 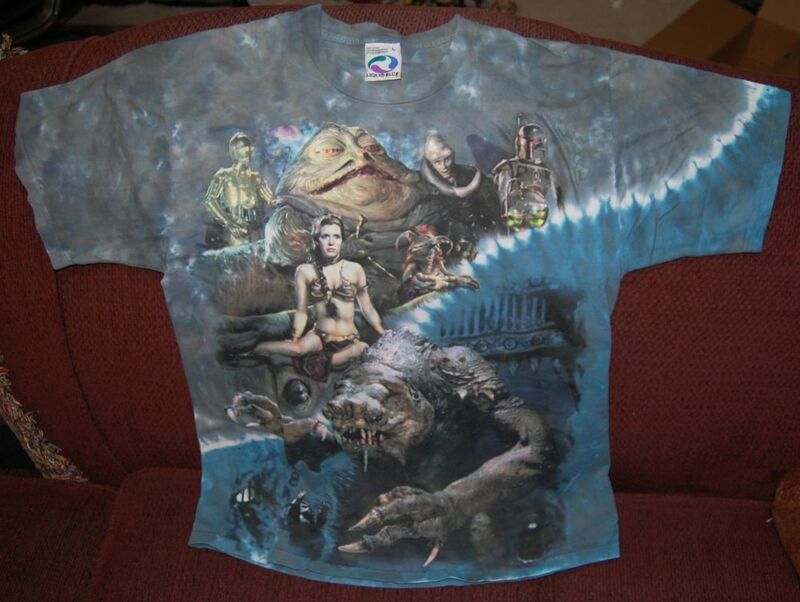 While I could have done without the addition of the new dancers, this shirt does a pretty good job of picking up on a lot of the key characters and scenes from Jabba’s palace. I’m not positive when this was made, but the presence of the special edition characters places it in the late 90s or later.